THE SCENE: It was a warm 50 degrees that was extremely foggy and gloomy . There are 5 solid PAX that embrassed the fog and therefore, we will have a tribute to each of the PAX. Mosey to the far end of the parking lot where “Jolly Roger” (the 250# log) is waiting. PAX will preform the following 5 time through. After each round, one PAX will drag the Jolly Roger to the middle of the parking lot and back. While they do this, they will designate a static hold that the other PAX will hold until they return. Today we did a super set of Merikans and Shoulder Presses starting at 11 and working down 1 of each movement. YHC gave exremely motivating words and if you were not there you really missed out. Each PAX really pushed themselves hard today. It was great to see everyone reach a breaking point and push through it. Way to get stronger today! 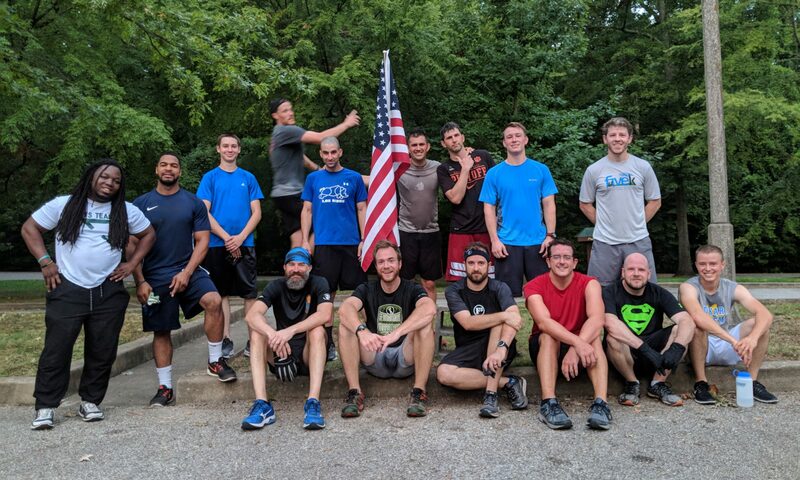 Continue to push on the Equinox challenge and venture out of your comfort zone and meet other F3 PAX that you do not normally see.